Finding the most wonderful and magical place to hold your wedding can be a challenge. Fortunately, Pennsylvania is chock full of high-quality options that will make your day truly special. From historic manors, to botanical gardens, to charming barns, you’ll find something to suit your taste with these 10 best wedding locations in Pennsylvania. With a breathtaking backdrop of Lake Nockamixon and setting in a historic renovated building that was formerly a general store and post office, one can’t help but feel like this is the ideal location for the wedding of your dreams. Complete with lodging available on site for the bridal party and family, nearby lodging for guests, and lakefront boathouse ballroom will have everyone talking about your wedding for many years to come and perhaps inspire those who have been looking for the perfect spot. Moonstone Manor has quite the history with the survey of the land dating back to 1739. It has seen many changes from serving as a family home for history makers such as Samuel Smith, Henry Bates Grubb, and as a United States Post Office, railroad line, inn, and the restoration of this magnificent manor house spanning three generations. With the strength that is has stood with the passage of time, one can feel that a wedding held in this location offers the same hopes, dreams, and certainty. Well-maintained grounds provide endless photo opportunities. Note: According to their website, Moonstone Manor does not accept credit cards. They do accept checks, cash and/or money orders. Where does one start? So many beautiful spaces in one location. A Victorian glasshouse, outdoor garden, or green roof can fulfill every couple’s wedding and reception dreams. The rich plant life and sweeping landscaping of the Outdoor Garden is a location that will be sure to have everyone in awe. The Broderie Room is an intimate indoor setting. Floor to ceiling glass windows in the Special Events Hall provide a stunning view of the Tropical Forest. Note: Photos are only permitted in the space or spaces rented. Seasonal tents are provided. However, depending on number of guests, additional tents can be rented. Some areas within the conservatory and botanical gardens may not be available year-round. Be certain to inquire as to any “Black Out” dates. Sabrina and Banu’s anniversary session is on the blog, head over to my profile to grab the link! Cameron Estate Inn & Restaurant offers different wedding and reception venues for all party sizes. Whether you are looking for an intimate gathering or glam size ceremony, can provide all your needs. An elegant conservatory provides a site for winter ceremonies. The Gazebo Garden with a neutral outdoor setting is location that will fit any wedding theme. Lodging is available at the Cameron Estate Inn & Restaurant for family and guests with other accommodations near. A beautifully restored barn dating back to the 1800s make a magical day even more special than one could imagine. The first floor of the barn provides an open area for the wedding ceremony with the second floor providing the dining area. The grounds are also another popular spot for an outdoor wedding ceremony featuring a pond with fountain, island with gazebo, and well-kept lawns. The farmhouse, also originally built in the 1800s offers a spot for the bridal party, groom, and groomsmen to prepare for their exciting day. Note: The barn is climate-controlled and handicap accessible. 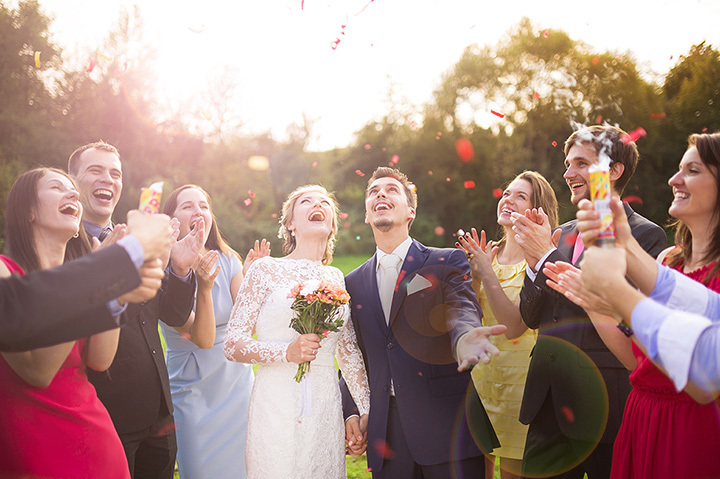 For something a little out of the box, Fire Side Tavern can assist and provide you with all the perfect location for your wedding from the bridal shower to the reception following your ceremony. One of the largest in Lancaster County, The Grand Ballroom boasts 14-foot soaring ceilings and crackling fireplace at each end. Although a spacious area, seating can be arranged to suit the atmosphere of your party. Lodging is not available on site. However, lodging is available within walking distance. Note: Smoking is not permitted in any indoor area. All weddings require a specified number of adult guests. Please check their policy. Fireside is now hiring full time line cooks, the following requirements are needed....3 or more years experience, open availability, able to work quickly and efficiently, self motivated and team oriented. Barnhouse Village Banquet Facility offers wedding packages for all size wedding parties and receptions. From the most intimate settings to the grand setting, they will be able to meet your needs and help to alleviate any stress of the day to allow the couple to just focus on making memories. Ceremonies can be held either indoors or outdoors. Outdoor ceremonies are held in the garden area providing a tree-lined private setting with gazebo. The facility does have onsite lodging for guests and a honeymoon suite for the new couple. DJ Troy Taylor celebrating with the new Mr. & Mrs. Crystal & Jonathan Behler. Built over 100 years ago, the Warner Theatre has stood the test of time and has been a venue for many performances, corporate events, and weddings. For all the ones who have dreamed of performing on a stage or the little bit of drama in all of us, the Warner Theatre can fulfill your dreams. The Grand Lobby provides just the right atmosphere with its stately setting and while the it may look grand, this is an affordable option for the bride and groom. Be sure to check out the Warner Theatre. Note: Smoking is prohibited in the Warner Theatre. Nestled in a partially wooded lot, McClure Hall is perfect for indoor and outdoor weddings with handicap accessible parking. Ideal for smaller events, the hall provides the flexibility of choosing your own caterer. Some items such as round or banquet tables and padded chairs, and kitchen appliances are provided but you will need to supply table settings which the hall has available for rent, allowing for more options in design and color. Last but certainly not least is the River Crest Golf Club & Preserve. A family owned business helping to guide you through every step of your wedding planning. Affordable prices and seasonal packages for every budget allows the bride to have the wedding of her dreams without breaking the bank. You can choose from three gorgeous settings to exchange your vows and if the weather is not right, indoor spaces is available.